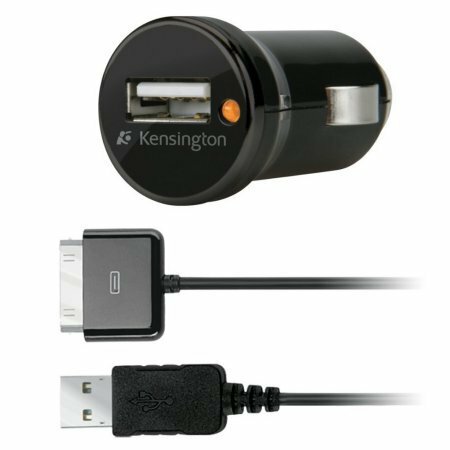 The Samsung Galaxy S5 and S4 is going places and with a Kensington Power Bolt 3.4 Car Charger on board, it’s getting charged fast. 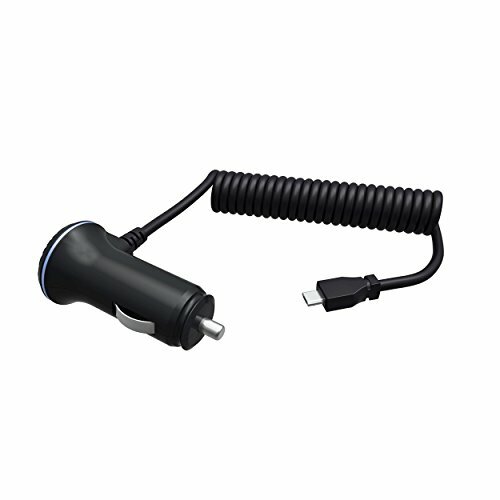 The Power Bolt 3.4 Fast Charge has a built-in charging cable for your Galaxy S5 or S4, along with a USB charging port with 2.4 AMPs of power for your iPad Air 2, iPad Air, Galaxy Tab 4, Tab 5 or Nexus tablet. Simply use the charging cable that came with your device and you’re all set for a fast, safe charge. Chances are, if you have one Apple device, you've got at least one other Apple product that’s also going to need charging. 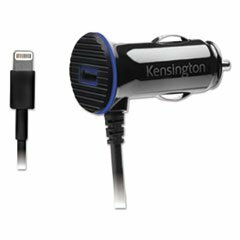 The Kensington Power Bolt 3.4 Dual Port Fast Charge has a built-in Lightning charging cable and 2.4 AMPs of power for your iPad. 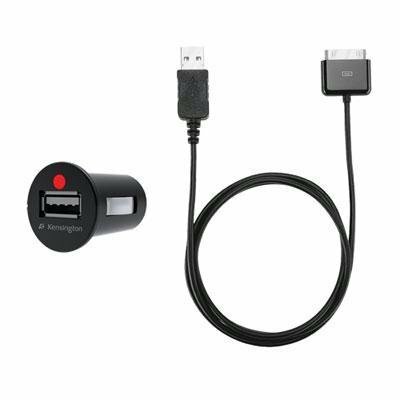 Plus, there’s also a USB charging port with 1.0 AMP for your iPhone 6, iPhone 6 Plus, iPhone5 5/5S/5C, or other Apple device. Simply use the charging cable that came with your device and you’re ready for a fast, safe charge. The Power Bolt 3.4 is ideal if you need to charge your iPad Air 2 ( or any iPad model using a self-supplied cable with PowerBolt's 2.4A USB port), and iPhone 6, 6 Plus or 5 simultaneously in the car. 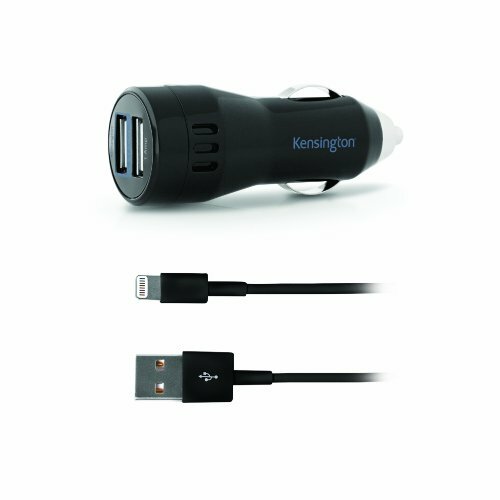 With the Kensington Power Bolt 3.4 Fast Charge you’ll arrive at your destination with a full charge, so you can get back to surfing the web, typing emails, checking social media, talking on the phone - and oh yeah, maybe even working. 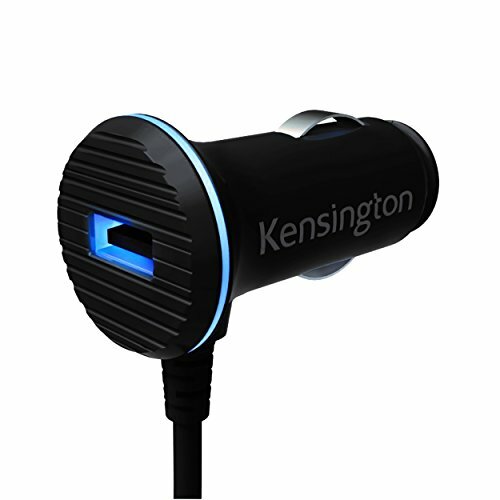 The Kensington Power Bolt 3.4 Fast Charge features a compact, low-profile design that blends in with any vehicle interior and won’t interfere with your car’s controls. 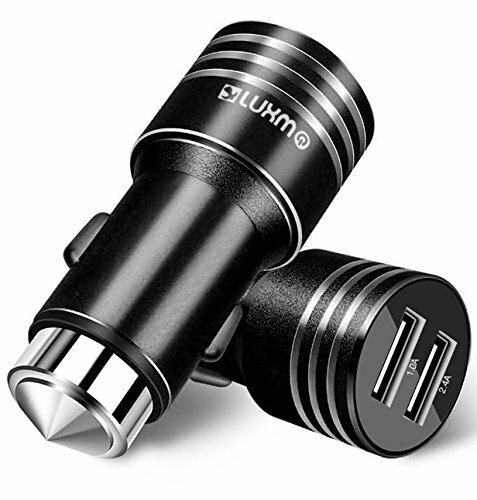 COMPATIBILITY:Universal for All Phones and TabletsThe Black Power Bolt 2.4A car charger does more than charge your device in the car.For starters, it looks cool. Seriously, the matte aluminum finish looks svelte and your car deserves an extra touch of class.Next, the Power Bolt can charge 2 devices at the same time....and FAST. The top port is 1A. That 1A port is pretty standard charging speed for phones. However, the bottom port is 2.4A. That port provides more juice for a faster charge. That is also the best port to use for tablets.Finally, the Power Bolt can dual as a lifesaver. The stainless-steel cone hammer head can be used for window breaking to exit the car in case of an emergency.So the next time you lose control of your car and veer off into a lake....I'm sure you'll be a happy customer! 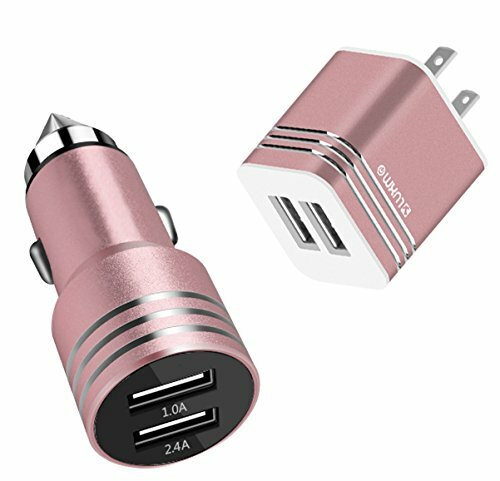 Presenting an elegantly designed fast car charger, for all smartphones, tablets, music players and cameras, and other electronic devices. 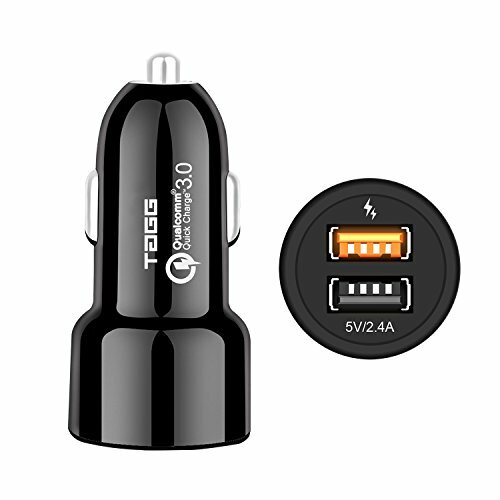 TAGG Power Bolt car charger is designed to prevent over-voltage, over-current, over-heating, over-charging and short circuit ensuring your device receives the full reliable power every time. Whether you are going out for a night, a road trip, coasting down the highway coast, or a family day fun day, don't ruin your day without power. Quality Engineered for the Road. TAGG Power Bolt is a signature line model that is built tough. Outlast the competition with a thick one-piece molded ABS plastic shell, full metal spring contacts, and aluminum grip. 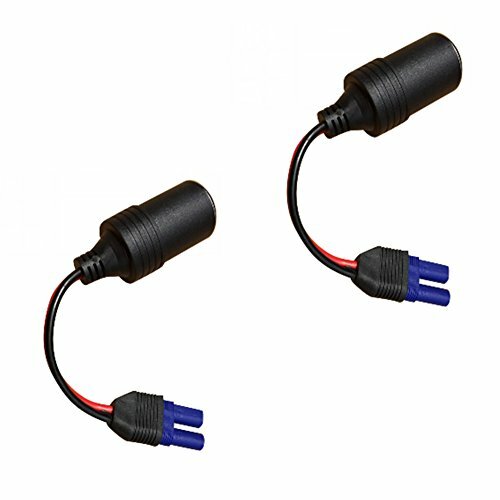 Compare prices on Powerbolt Auto Adapter at ShopPlanetUp.com – use promo codes and coupons for best offers and deals. We work hard to get you amazing deals and collect all available offers online and represent it in one place for the customers. Now our visitors can leverage benefits of big brands and heavy discounts available for that day and for famous brands.